What is better than a ham and cheese panini? 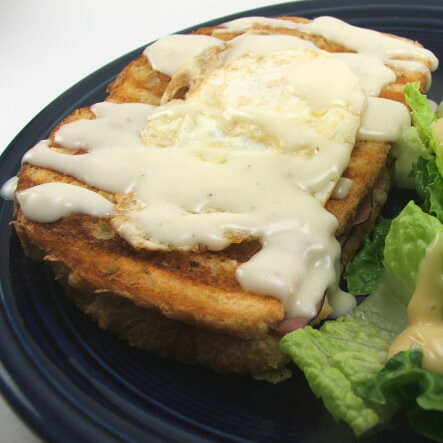 How about a ham and cheese panini topped with a fried egg and some creamy mornay sauce? 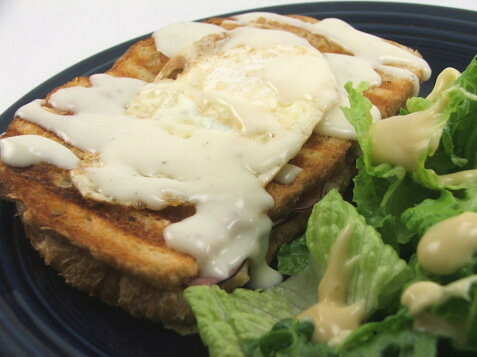 While dining out at a local French cafe I had a Croque-Monsieur which was quite nice. 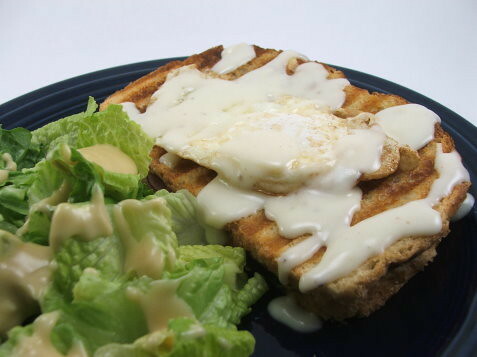 I promptly went home to research what went into this sandwich when I discovered a recipe for a Croque-Madame. 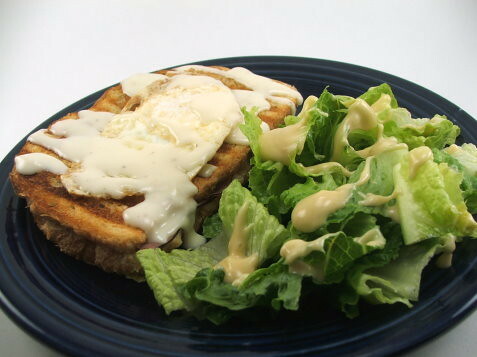 A croque-madame has a sunny-side, or over-easy, egg and mornay sauce on top. You can’t imagine how much I wanted to try it, but I honestly did not want to heat up the broiler because Summer in Texas is HOT! So, rather than broil the sandwich I put it into my panini maker. When it was done the sandwich was lovely and crunch outside with gooey melting cheese inside. If you do not have a panini maker, and many do not, you can make this with two skillets and a large (say 32 oz.) can. You won’t have the grill marks, but you will have a tasty sandwich. It’s crunchy, cheesy, and makes a lovely lunch or dinner. Heat your panini press, or a grill pan, to medium heat. 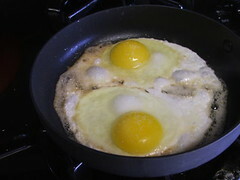 If using a grill pan have a second pan and a weight (like a large can) available. 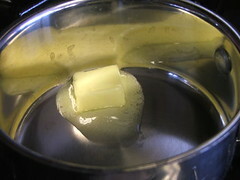 In a small saucepan over medium heat melt the butter until it foams but do not let it brown. 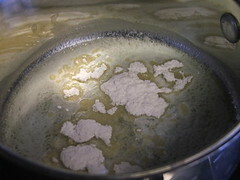 Add the flour and cook for about thirty seconds. 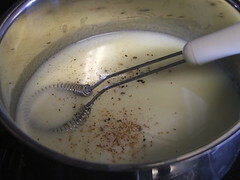 Four in the milk slowly, whisking constantly, until it is smooth. Season with salt, pepper and nutmeg. Cook over medium heat until it bubbles and thickens. 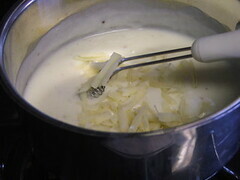 Remove the pan from the heat and add the cheese in two installments, making sure the first is melted before adding the next. Cover with foil and allow to stand while you prepare the paninis. Butter one slice of bread and reserve. 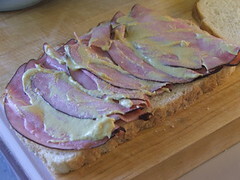 On the unbuttered slice layer the ham, mustard, and shredded cheese. 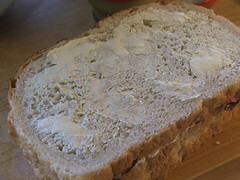 Top with the buttered bread. 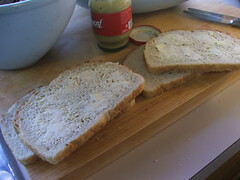 Place the sandwich in your panini press, or in your heated pan, and butter the top slice. 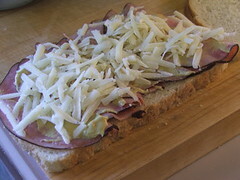 Press the sandwich until golden brown and hot, about five minutes. 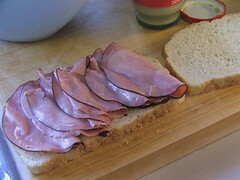 If cooking in a pan you will want to flip the sandwich after two to three minutes. While the sandwiches cook prepare your eggs. 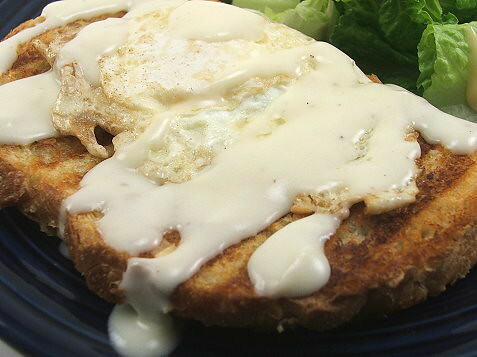 When the sandwich is ready top it with the egg and add sauce to your taste. This is lovely with a crisp green salad and a cool glass of wine.